It’s autumn, and, in New England, that means it’s time to take advantage of the bounty of fall fruits and vegetables. Apple picking is a fun way to spend time outside on a beautiful fall afternoon. Even if you don’t pick your own, you can still purchase apples and other produce. Apple picking usually starts in mid-August with Ginger Gold and goes through the 3rd week of October, with Sun Crisps ripening last, and different varieties ripening at different times during the season. 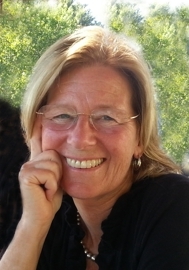 There are several farms in Fairfield County and just over the border in Westchester. Here are my favorite spots. Call ahead for picking conditions. Silverman’s has been a working farm since the early 1920’s. Ben Silverman, the founder, built a cider mill where he pressed the apples of local families into sweet and hard cider. The mill closed in 2004, but the farm evolved over the years and has become a great destination for families. Along with apple picking, they have a pumpkin patch, a farm market, open daily 9am- 6pm that sells produce, pies, jellies, and other delicious treats. They also have a rustic animal farm that is open daily 9am-5pm with buffalo, llamas, alpacas, sheep, goats, fallow deer, emus, long-horn cattle, and exotic birds. (There is a fee for this area of Silverman’s). There is also a country greenhouse on the premises where you can purchase plants, garden baskets, and edible gift baskets. 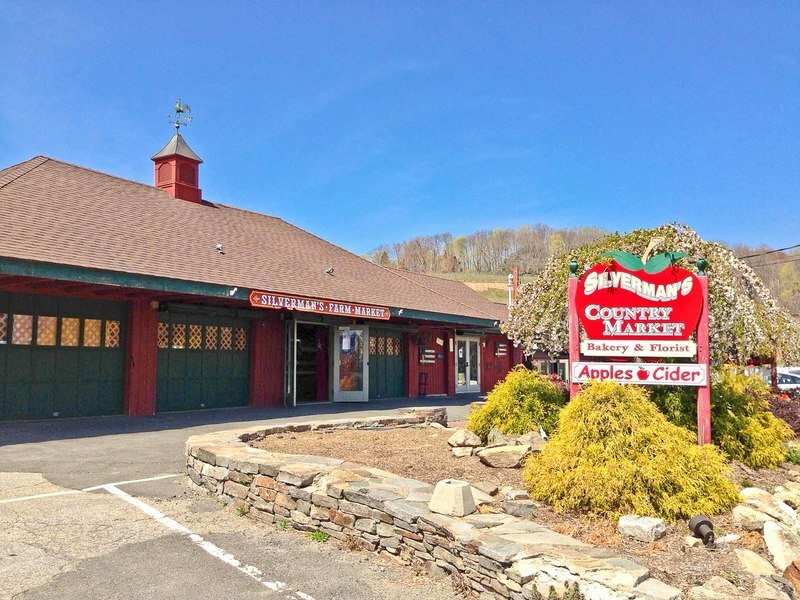 Silverman’s is close to Fairfield, Trumbull, Weston, Westport, and Bridgeport. Pick your own apples and raspberries, pumpkin patch, farm market, animal farm, and greenhouse. Apple varieties: Ginger Gold, Gala Red, McIntosh, Cortland, Empire, Macoun, Honey Crisp, Shizuka (sister to Mutsu), Red Delicious, Golden Delicious, Mutsu Crispin, Jonagold, Autumn Gala, Cameo, and Sun Crisp. 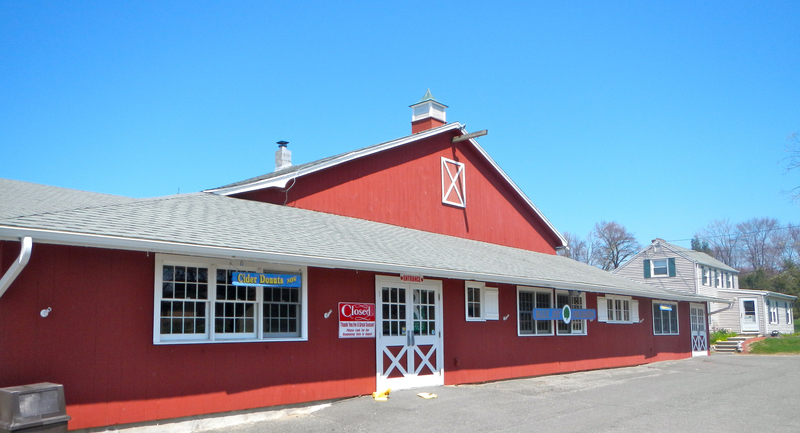 Nestled between Danbury, Newtown, Brookfield, and Redding, Blue Jay Orchards has been a working orchard since 1934. Before that, it had been a small dairy farm providing milk and butter. In those years, it also served as a bed & breakfast in the summers, one of the first in the Danbury area. Along with pick-your-own apples, they have a seasonal pumpkin patch and a store with a bakery that is open year-round selling their famous cider doughnuts and pies. They also sell cookies, turnovers, muffins, jams, and jellies. 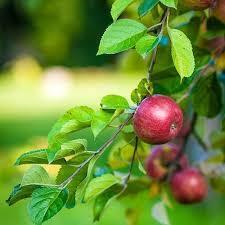 The have a variety of apples for picking and for sale including, MacIntosh, Honey Crisp, Gala, and Cortland. In the fall, they offer wagon rides ($3/person) on Saturdays and Sundays. There is also an Observation Bee Hive in the store where you can see honey being made. Apple varieties: MacIntosh, Honey Crisp, Gala, and Cortland. Offering apple picking, market, farm shares, festivals every weekend through Halloween, Harvest Moon is located near Ridgefield, Wilton, New Canaan, South Salem, Pound Ridge, and Katonah. Formerly known as Outhouse Orchards, this local institution is famous for their Cider Doughnuts and family friendly atmosphere. They sell many other locally grown products in their store including free-range eggs, honey, maple syrup, antibiotic and hormone-free turkey, and 100% grass-fed beef from Highland Cattle. Falls festival weekends include some or all of the following activities for an additional fee, cash only: hayrides, apple cannons, face painting, live music, pumpkin picking, pony rides, beer on tap, whiskey tasting, etc. Highlights: Apple picking in season, market, farm shares, festivals, Leashed dogs permitted on farm, but not in store. Tip: use insect repellent and sunscreen [if needed]. Decorators, Pat McEnroe and a Mansion in Fairfield CT? Wilton Historical Society Fun Chocolate Making! Did You Sweep Your Chimney This Year? Easton's Silverman's Farm - Folks Come From Miles Around!